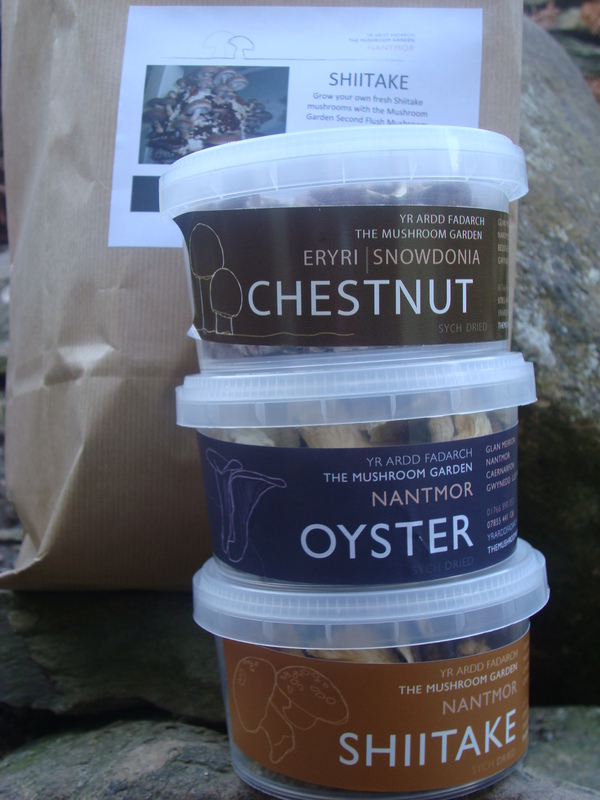 Tucked away deep in the heart of Snowdonia, just a couple of miles outside Beddgelert in the Aberglaslyn woods is Nantmor; a sleepy village that is home to The Mushroom Garden, a wonderful, innovative company, that cultivates and sells Welsh grown exotic mushrooms. I’ve been meaning to go visit the owners Cynan and June for about two years now and yesterday I finally got round to it! Just on the edge of the village you might just see their specially designed, temperature controlled units as you drive past, but you would never know just by looking what wonderful secrets lie hidden within. The green unprepossessing lock-ups contain lots of specially prepared fruiting blocks. They start their growing cycle in the “summer” container where the air is warm and humid. 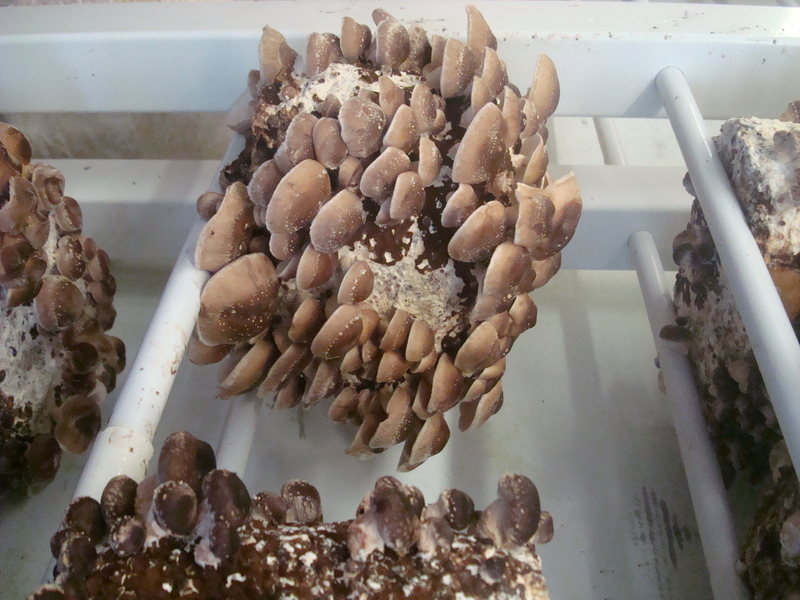 Once they begin to produce small popcorn like swellings (the beginnings of the mushroom fruiting bodies) they move into the “Autumn” container which is kept damp and cool and allows the mushrooms to grow in a ‘natural’ temperature. Within a couple of weeks the mushrooms are ready to harvest. 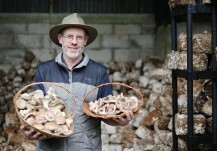 Cynan started The mushroom Garden in 2004 after taking part of a project which aimed to diversify agriculture in North Wales by looking at alternative crop options. The project flourished and the company has since won awards, including a bronze medal at the True Taste of Wales awards in 2011 and The National Trust Fine Farm Product Award in 2009 and fans UK wide. They are permanently on the menu at Castell Deudraeth (the Portmeirion restaurant) and have also been used by Peter Jackson at Maes y Neuadd and Aled Williams at Cennin. Cynan has himself gained the moniker “the mushroom man” and is often used by the media as a fungi expert. I use these mushrooms all the time, whether its part of a supper club dish, a formal dinner or in my cooking at home. They are fantastic in a risotto where their earthy flavour is predominant, or added as a subtle undertone to a casserole. Last year they formed part of my Conwy Feast dish; slow cooked Venison with wild mushrooms, herbs and local dry cure bacon. It was a winner. As a special treat, The Mushroom Garden and I have teamed up to offer one lucky reader the chance to win three tubs of dried gourmet mushrooms, plus their very own mushroom growing block (complete with instructions). To win just follow the instructions below. You can enter by any of the following methods…but only do it once per method!! If you enter using all four, you have a higher chance of winning. Good luck! Tweet #WIN @nantmormushrooms in @moelfabanssc’s competition. This competition is now closed. The lucky winner was Olivia Bier from Devon. Well done Olivia!! 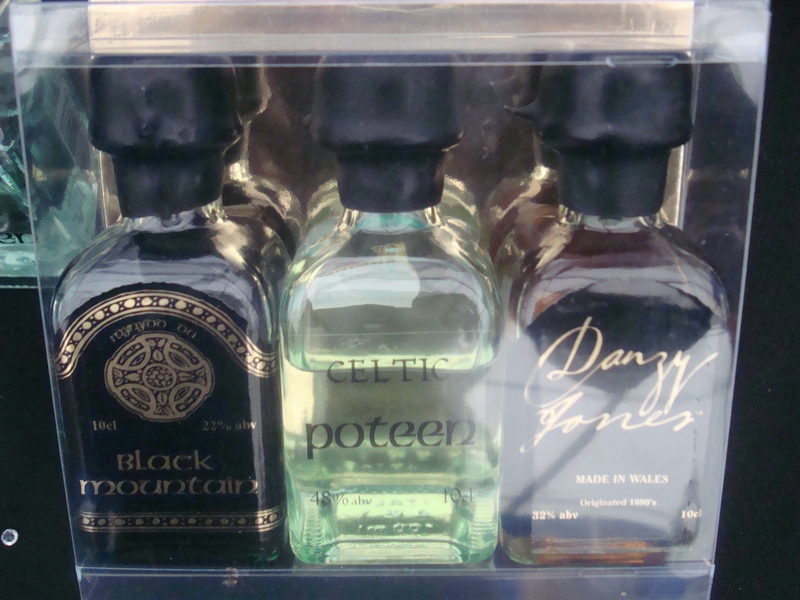 If the winner hasn’t replied within two days to the organiser’s email, a new winner will be randomly drawn. 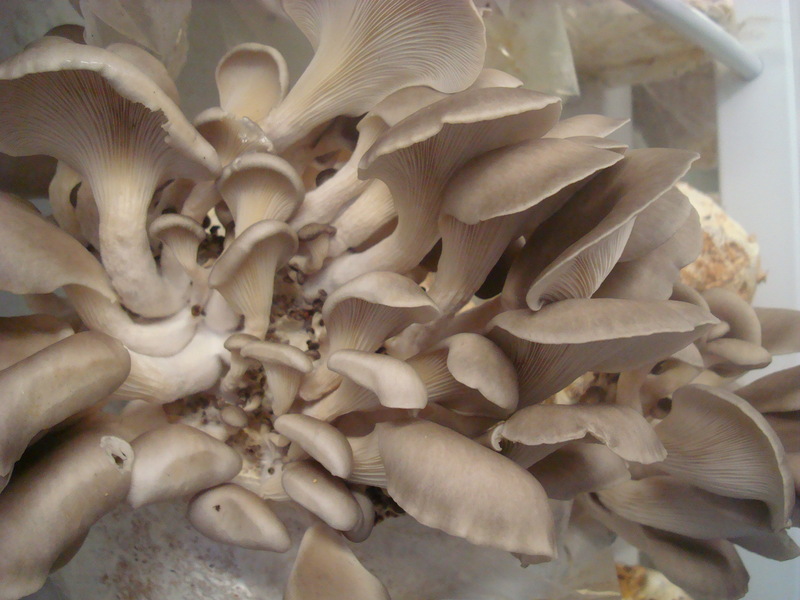 If you are not lucky enough to win this time and don’t live close enough to visit any of the produce markets where they are sold, The Mushroom Garden are now in the process of setting up an online shop which you can reach by clicking here.